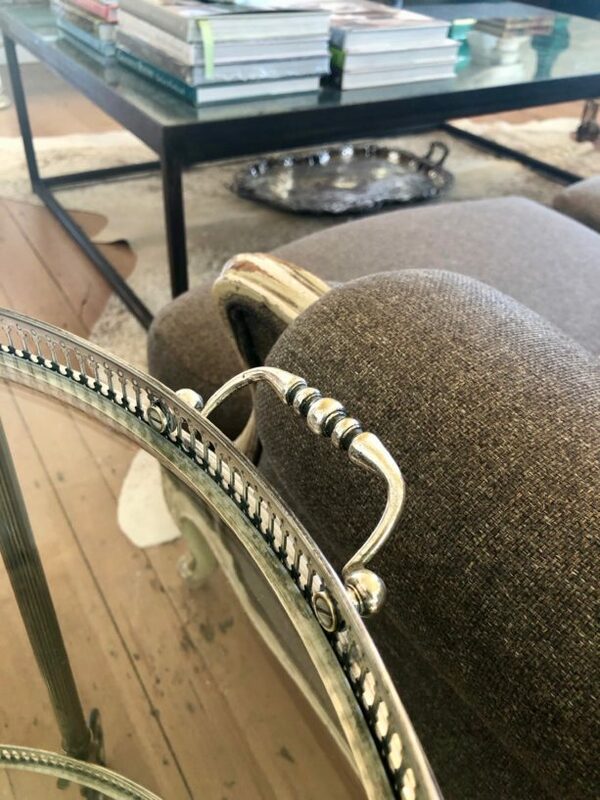 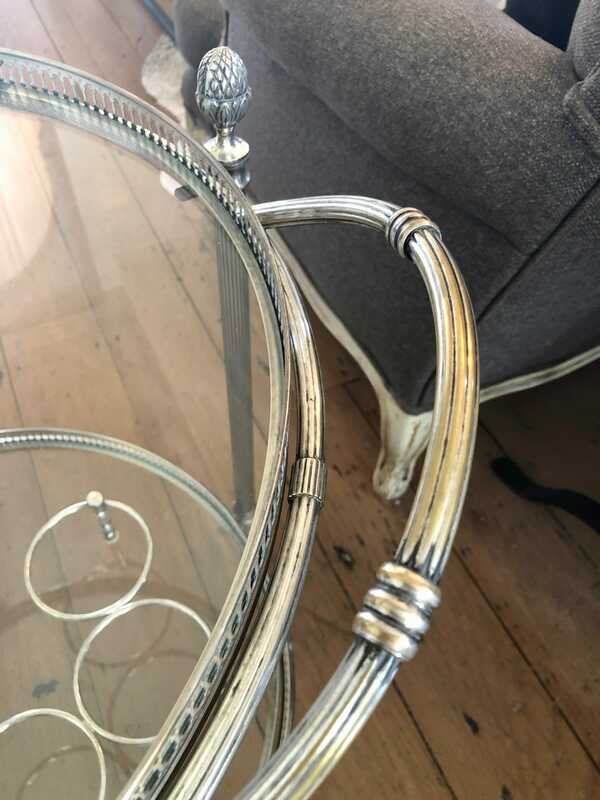 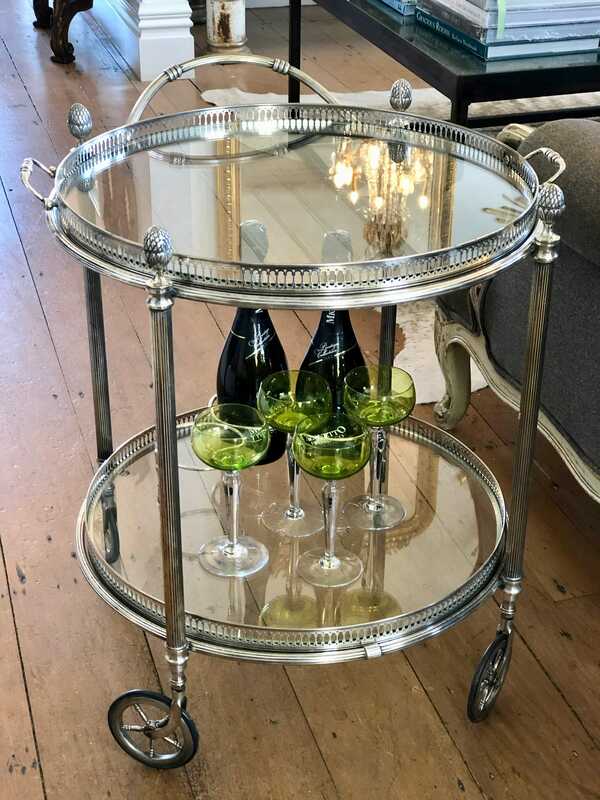 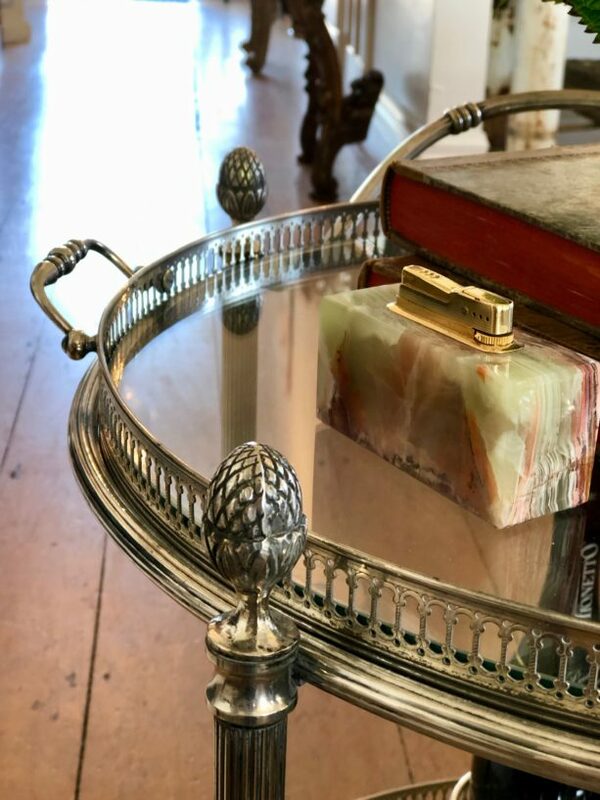 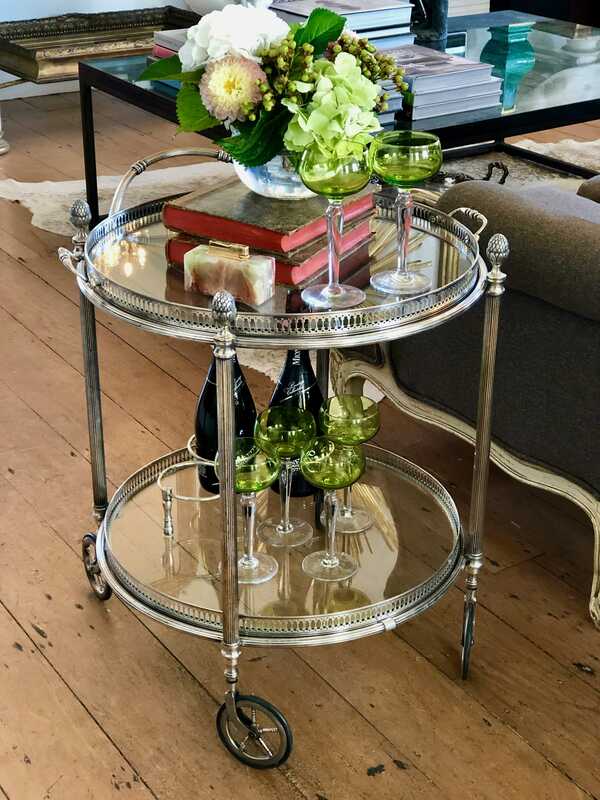 A very elegant and useful French circular two tier drinks trolley in silver plated brass and glass. 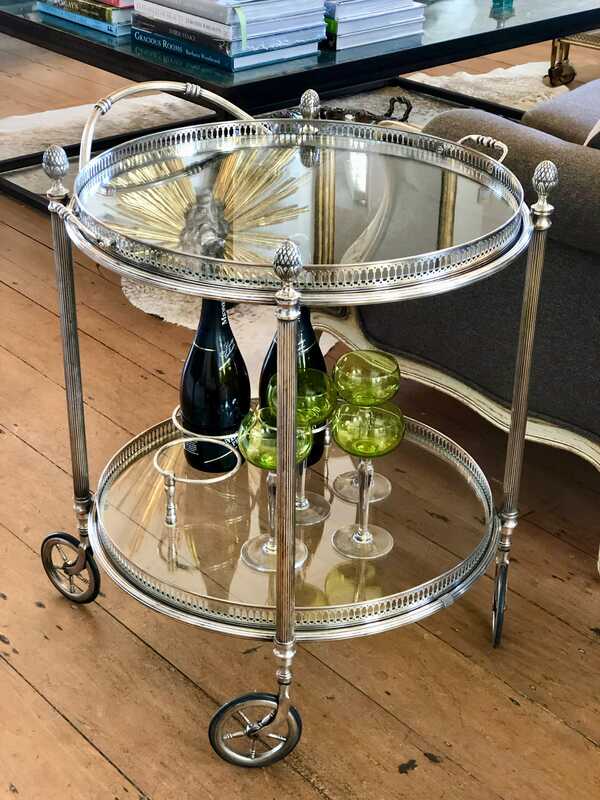 The top tier with handles for service and the lower shelf for bottle storage. 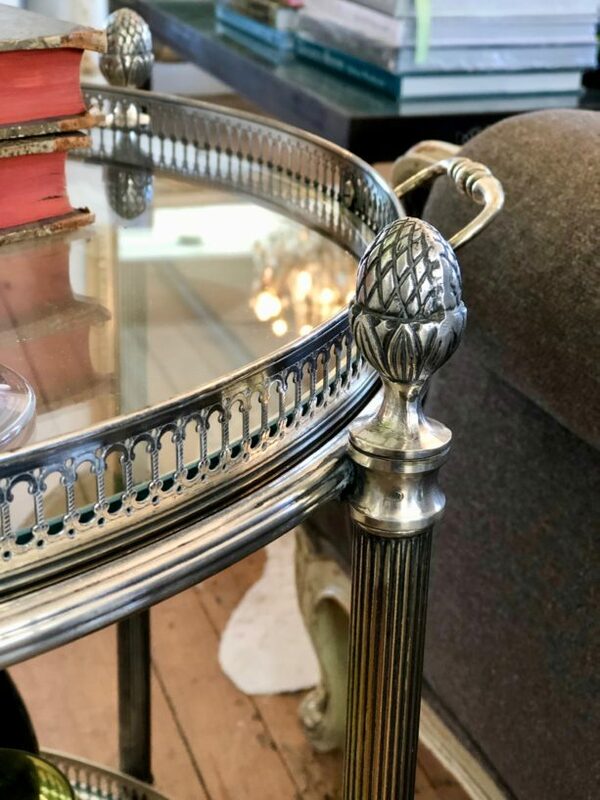 With acorn finials the design is reminiscent of the design house Maison Jansen. 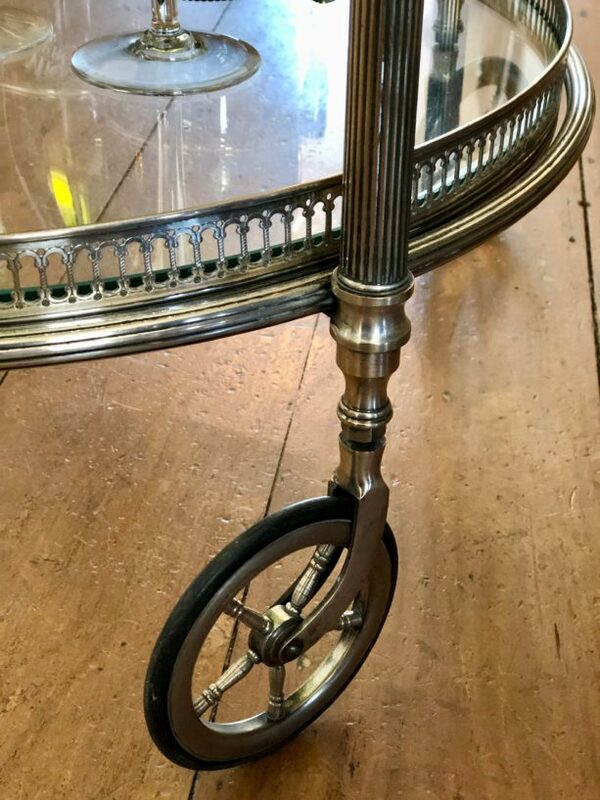 (Some scratches to glass, commensurate with age).